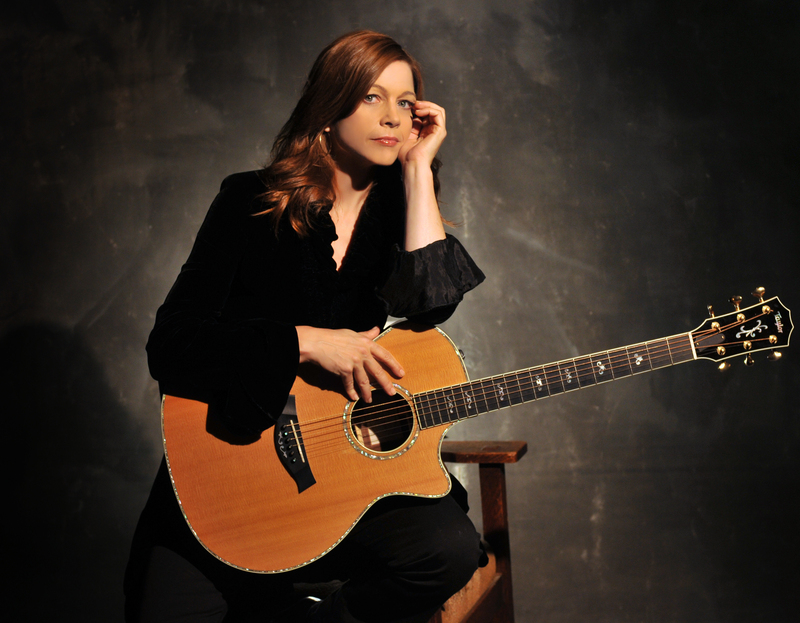 Folksinger Carrie Newcomer played to a packed house at a “rare Monday night Institute of Musical Traditions concert on Saturday night” last evening in Rockville. As emcee David Eisner pointed out, it wasn’t your usual IMT crowd, but those in attendance kept up the high bar for IMT audiences as they were both knowledgeable and appreciative. Every day we are living moments of grace and wonder, shadow and light. These are the moments I write about. Saturday evening didn’t disappoint. Playing her beautiful Taylor guitar (with an inventive use of capos); singing with that expressive, lyrical, and deep voice; and accompanied only by keyboardist Gary Walters, Newcomer didn’t hit a false note the entire evening. Beginning with I Believe, she sang songs from her soon-to-be-released CD A Permeable Life (such as A Light in the Window) as well as old favorites, including the moving Bare to the Bone. When Newcomer ended her encore with the thoughtful Thank You, Good Night from A Permeable Life, we knew we wanted to say the same in return. Enjoy the beautiful video Everything is Everywhere from Carrie’s 2011 collaboration with Indian sarod masters, Amjad Alk Khan, Amaan Ali Khan, and Ayaan Ali Khan.